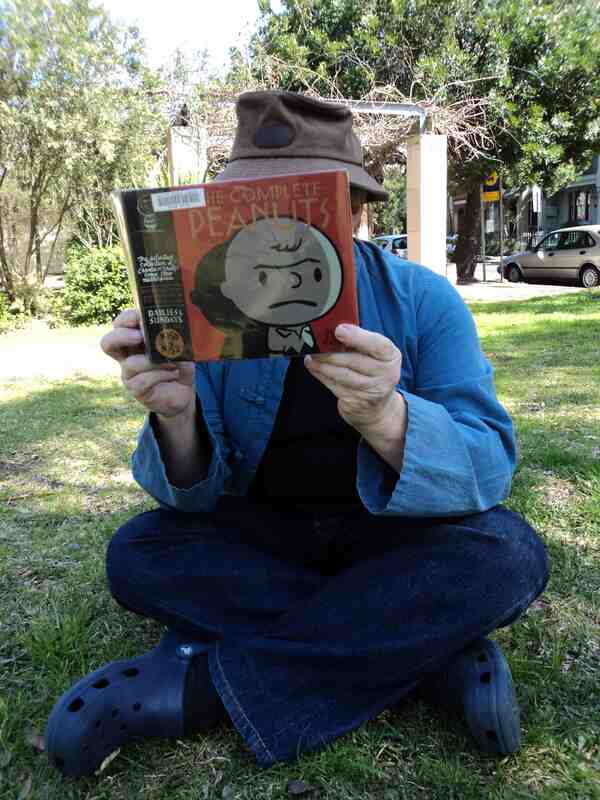 Today, 28 August 2011, is International Read Comics in Public Day. This is the second time it has been staged. It began last year and was created, sponsored and promoted by The Daily Cross Hatch. I have participated in the event on both occasions (see photos below) and chose the location outside my local library. 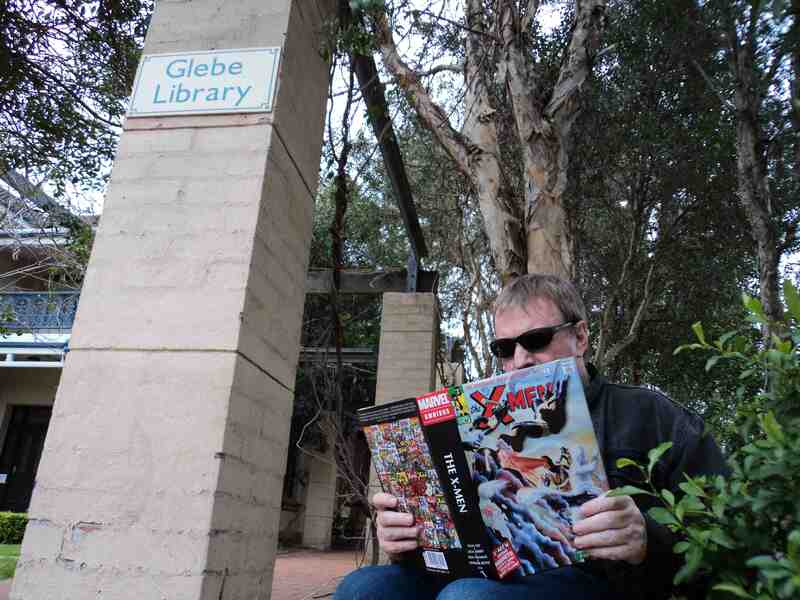 The City of Sydney Library branches carry an increasing number and range of comics and graphic novel titles including manga. August 28 was also artist Jack Kirby’s birthday so I decided to read some early stories from the giant X-Men Omnibus that he created along with writer Stan Lee. Last year I read early issues of Peanuts by Charles Schulz. It was fun doing this. 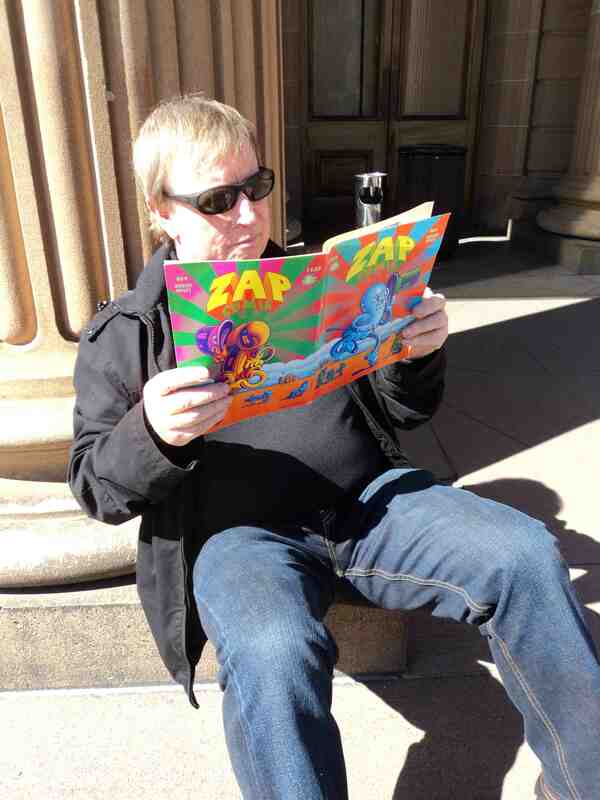 UPDATE 2012: Art Gallery steps I participated for the third time in 2012 when I read ZAP Comix No.4 in front of the Art Gallery of NSW in Sydney. This comic features a dazzling psychedelic cover design by Victor Moscoso that the morning sun illuminated really well. I expect that I shall not be participating in this event again as I read comics in public on a regular basis in pubs and cafes, on public transport, in parks and gardens, not as part of any crusade but because that is what I enjoy doing. I love reading comics, wherever I happen to be. UPDATE 2013: at the beach! 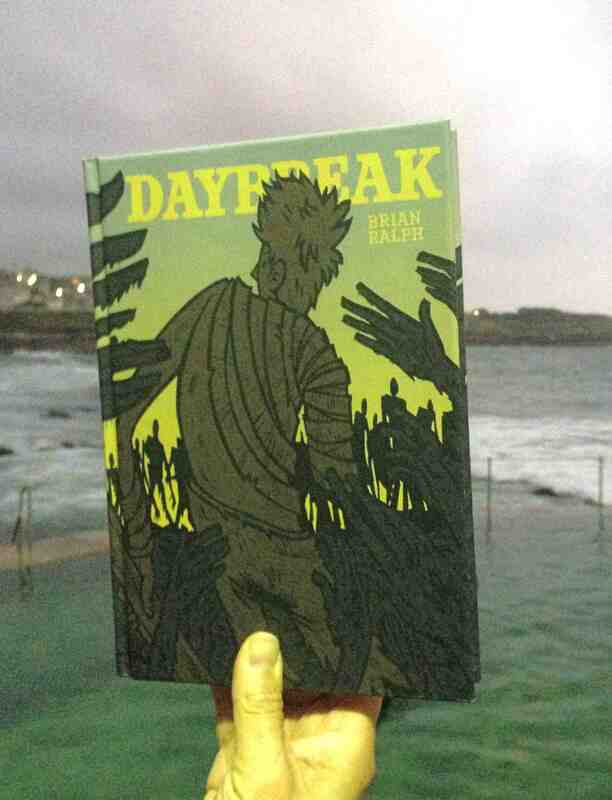 Reading Brian Ralph’s Daybreak at the beach at dawn. Unflattening by Nick Sousanis under lights near the Bridge. Related post in this blog: I Love Comics! This entry was posted in Art, Comics and tagged Art Gallery of NSW, Brian Ralph, Charles Schulz, Jack Kirby, Nick Sousanis, Stan Lee, Sydney Harbour Bridge, Victor Moscoso, Zap Comix by Doctor Comics. Bookmark the permalink.